For the past few weeks I've been sharing Victineraries on how to plan days in a few English towns like Bath and Oxford. Now I've put together a guide for how to string those day trips and experiences together to form one cohesive trip. I have personally taken this trip during the summer, and so had the benefit of good weather, longer days, museums and famous sites having longer opening hours, and the general ability to do a lot of things outside. I love England in any season, but there is something about late summer-early fall that really brings out the vibrance of both English gardens and English life. Come with me on this adventure to the land of tea, rain, and royalty. This trip is 10 full days, plus the evening of an 11th for the initial overnight flight. It was originally planned for and taken at the end of August / beginning of September to utilize the perfect weather, and to get an extra day of travel with most people being off for Labor Day. Even with Brexit looming, the British Pound is still stronger than the dollar, but things tend to have the same prices. So get ready to spend a bit more than you expect. You can use credit cards almost everywhere, but I recommend getting out some cash at an ATM (there are some no-fee ones in Paddington station when you arrive) to have on hand. The only place this will really come in handy is the Cotswolds where everything is a bit lost in time. Phone plans are cheap in England, so instead of paying for an expensive international add on to your US plan, if you have an unlocked phone just go into a local phone store once you get to Bath (I had a good experience with Three) and pick up a pre-paid SIM card. Swap out the one in your phone and for £20 you can get coverage for up to a month that includes unlimited talk and text, plus 12 GB of data. This will make everything from finding your way to uploading way too many travel Instagram posts a breeze, and you don't have to worry about a recurring charge because you can just buy one month at a time. If you are worried about getting around before you pick up a new SIM card, download the app Maps.me. If you make some maps to help plan your trip in Google Maps (or you use some of the ones from my Victineraries), just export all of the saved pins to a KML file and import it into the app. You can pre-download map backgrounds before your trip so you have all of the info at your fingertips. Turn off cellular data, but leave on location services and the app can even give you step by step directoins. (Don't worry, GPS is always free, you need data to load the map background info, so this app removes that issue). Another great Rick Steves product is his Audio Europe App. You can download walking tours for different city neighborhoods or even specific museums. The app includes a map and photos of each location, so this is a fun way to get a guided tour without needing a personal guide. The best part? It's free! Hop on an overnight flight from the US to London, planning to arrive at a decent hour in the morning UK time. For most people, this flight will be on a Friday night, so Day 2 will start your trip on a Saturday and so on. Arrive at London Heathrow Airport in the morning, preferably in the 8am to 9am time frame. For full details on pricing and times, check out the "Getting There" section of my Bath Victinerary. In Bath, walk to the YMCA Bath Hostel, check-in, and drop off your bags in your room. Full details in the "Accommodation Spotlight" section of my Bath Victinerary. I find that the best way to deal with jetlag is to keep your first day full but manageable so that you get distracted enough to keep going. Then when you're ready to turn in early that first night, you hit the pillow hard and it sets you up to be on English time for the rest of your trip. From the hotel, walk back to the Bath train station and catch another National Rail train to Bristol for an afternoon of exploring there. Follow my Bristol Victinerary for full details. Optional Swap: If football (soccer) isn't your thing, skip the game and instead get off at the main Bristol Temple Meads station and take a cab up to the Clifton Observatory for an amazing view of Bristol & the bridge, then walk downhill through town and follow the rest of the Bristol Victinerary. After you've stayed awake for as long as you can and had an early dinner in Bristol, catch a train back to Bath. Highlights include a walking tour, a museum or two, a few minutes with Jane Austen, and an evening at the Roman Baths, plus lunch, afternoon snack, and dinner recommendations! Get a cab to the AutoEurope office right outside town. Details on our car rental experience in the "Getting Around" section of the Cotswolds Victinerary. Key note: Always check the calendar and opening hours for your pickup day. We accidentally planned ours for a Bank Holiday Monday, and so couldn't get our car until 10am instead of the 8 or 9 that we would have liked. With your fancy new car, drive north (on the other side of the road) with Stow-on-the-Wold in your sights. Once in Stow, follow the back lanes into the nearby hamlet of Maugersbury and check-in to your B&B for two nights, Little Broom. This lovely place is run by a mother and her two daughters, and you will be so glad you decided to stay with them. Full details in the "Accommodation Spotlight" section of the Cotswolds Victinerary. Key Note: This is one of the few places you'll need to pay in cash, so prepare ahead of time for that. On my particular trip, the friend I was traveling with wanted to spend an afternoon golfing, so after we arrived at our B&B, we parted ways and he drove to golf while I went for a lovely walk in the countryside. Walk from the B&B into Stow for a quick lunch at one of the many cafes / tea shops along the main streets. Stop into the store on the main square and pick up an OL45 map, this will be helpful for your walk, and for your drive the next day. Take a peek at the famous tree-framed door at St. Edwards church in town, then start south along the main road (you should see the cemetery on your left). Keep an eye out on the right hand side for a small sign for the Gloucestershire Way (it's marked on the OL45 map! ), then follow that along paths, through gates, and across fields. Wave to the local horses and cows! (Hopefully it's a beautiful dry day for you, but if not this would be a time to break out boots / not to wear shoes you mind getting a little dirty). At "intersections" (aka grassy paths coming together), follow the Gloucestershire Way until you come to Macmillan Way. Follow that all the way to Lower Slaughter. Take a few minutes or an hour to sit in the garden at the Slaughters Country Inn to relax, have a glass of cider, and maybe even a small snack. If you still have some walking left in you, follow the stream in the middle of town to the Mill, then go around it and follow the Warden's Way through some more fields to Upper Slaughter. There isn't much in town to see, but the walk is lovely, so head up and back. Pass back through Lower Slaughter and continue around the Inn to the Heart of England Way. Follow that all the way to Bourton-on-the-Water. At this point, if you also have a golfing friend, they will conveniently come and pick you up here. Or, if they came with you, go to the middle of town to catch the bus back to Stow, or hail a cab. To find up to date bus timetables, check this website. After a long day of walking, head back to Little Broom to freshen up. Then make the 10 minute walk into Stow (or drive if you're that tired!) to have dinner. Try the Old Butchers for a great meal and a casual atmosphere. A bonus perk of this place, most spots in Stow close on the early side, but this one stays open a bit later. So if perhaps you might like an afternoon nap after a long walk... this is just for you. 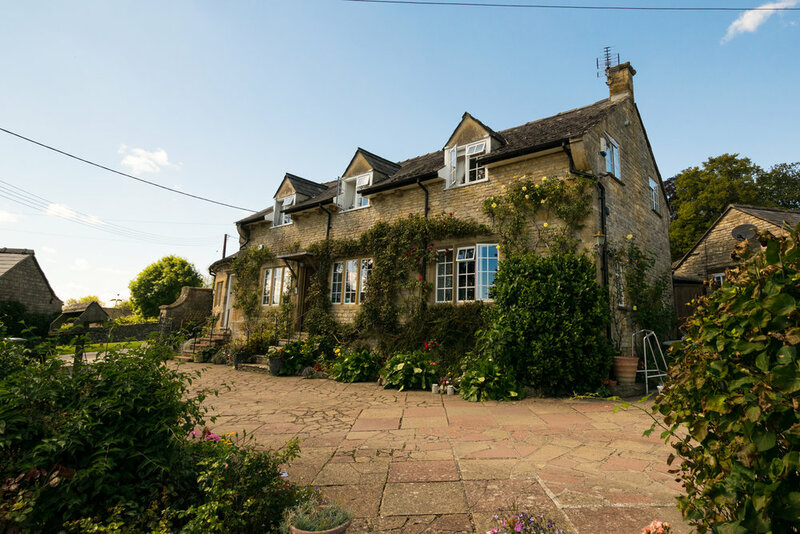 Highlights include a beautiful English garden, a few classic Cotswolds towns, a fun manor house and estate to explore, and dinner at a farm/pub for great local fare. The Victinerary includes a visit to Stanway House, but sadly they have extremely limited visiting hours. If you want to find some other great options to fill in your day like the Broadway Tower or the Sezincote House & Garden, check out the annual guide from Escape to the Cotwsolds. One more full English at Little Broom. Drive to the outskirts of town to the Europecar office, drop off the car, and walk into the center of town. Highlights include a walking tour, some Harry Potter film location sightings, and a few stops to enjoy the local pub scene. Optional add-in: On my trip, a friend and I spent time at the Turf Tavern, but weren't really hungry when we went in the late afternoon / early evening, and so only really had drinks and appetizers. We ended up passing by the Bear Inn on the way back to Christ Church and enjoyed having actual dinner outside on the patio. Wake up to a dream eating breakfast at Hogwarts... I mean the Great Hall in Christ Church College. Climb the tallest bell tower in town (See my Oxford Victinerary for more). Walk to the Oxford station and catch any train to London. You'll probably end up at Paddington Station, but if you want to get in your Platform 9-3/4 photo op, jump on the Circle line over to King's Cross before meeting up with your host below. For Platform 9-3/4 details, see my HP Victinerary. Hotels in London are expensive. Get a better value for your money by using an apartment rental website like AirBnB or VRBO. With perks like being able to stock your own breakfast, exploring life like a local, and maybe even doing some laundry before you pack, this is a great option. Sadly the apartment I used is no longer on the AirBnB website. However, I would suggest getting a place in the neighborhoods between Notting Hill and Paddington Station. There are a few tube stops and even more bus lines that go through this area, so getting around from here is easy. The biggest perk for me was the combination of quiet streets and a large density of food options. I liked being able to eat breakfast at "home" in the morning, go out and explore the city, eat out for lunch, then return to my new neighborhood at night and explore the local options. Definitely a fun way to get to know this picturesque area of town! Before leaving Oxford, arrange to meet your AirBnB/VRBO host to pick up keys, and then head to your new home away from home to drop of your bags. Head back out to have lunch in Covent Garden and explore the surrounding area, including photo worthy Neal's Yard. You won't see me suggesting dining locations in London much past the general destination. There are too many amazing options, so let your nose do the choosing, or when in doubt, ask Yelp to help you narrow it down. Spend the evening exploring your new locale and find a spot for dinner, and maybe for after-dinner drinks as well. Don't forget to find a local small grocery to pick up some breakfast food for the next few days. Aka follow my HP Victinerary for getting to and enjoying the amazing experience that is the WB Studio Tour London. May you find all of the magic your heart desires. Once you return to London, it will probably be mid to late afternoon. Since you've been walking around a studio tour all morning, a nice relaxing evening is probably going to sound good. One option for is to see a show in the West End. Unlike New York, theatre tickets in London are reasonably priced, so just head to the TKTS booth in Leicester Square to pick up discounted tickets for any available shows that night. If you can't decide or aren't sure which to pick, try The Mousetrap. This Agatha Christie mystery is the longest running show in history, so it's sure to be a general crowd pleaser. Sit back, relax, and start trying to figure out who did it! Most shows are at 7:30 or 8, so walk around the Leicester Square area to find a good dinner spot beforehand. After the show, make your way back to Notting hill for a nightcap. Find a local spot in the Westminster area. On my trip we made our way out to Wimbledon to see an AFC Wimbledon match (pre-book a ticket on their website). They have a very small stadium but make up for it with a very vocal fan section! If you want to see a bit of a bigger game, or want to stay closer to town, check the schedule and see if Fulham are playing. They have a lovely small stadium named Craven Cottege right on the Thames, so walking around nearby before or after offers a nice view. Bigger teams like Totthenam, Arsenal, or Chelsea are also in London, but those tickets are going to be expensive so only invest if you are already a fan of those teams or the ones they are playing that day. Once again, head back to Notting Hill to have dinner close to home. For full details check out my London Big Sights Victinerary, and don't forget that Beefeaer tour! 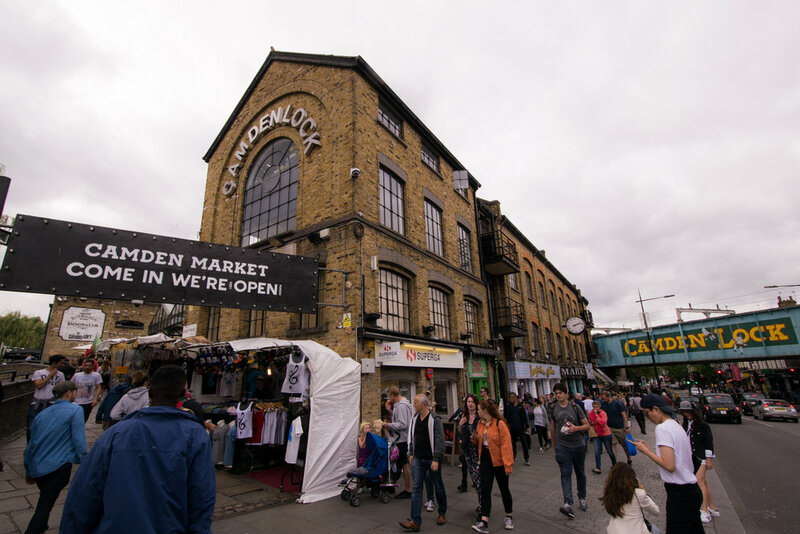 Walking around the Tower can work up quite an appetite, so head north to visit Camden Market. Hop on the tube at Tower Hill, take it one stop on the Circle/District line to Monument, change lines to the Northern and ride all the way to Camden Town. Enjoy walking around the extremely colorful and vibrant streets of Camden Market. Once you reach the lock bridge, turn left on either side of the bridge and make your way to down to the myriad of food stalls. Pick one thing or a few to sample as you take it all in. This is a great place to find some unique souvenirs! After lunch and probably a good deal of shopping, if find yourself in need of anything on the slightly more fancy side, head back into town to visit the iconic Harrods. Hop back on the Tube at Camden Town, take the Northern line to Leicester Square, change to the Piccadilly line, and get off at Knightsbridge. If you haven't made time to see Buckingham Palace yet and it's on your list, get off the Tube a stop early at Hyde Park Corner and go wave to the Queen before making your way to Harrods. On your last night in London, make your way back to Notting Hill once more to enjoy a final nightcap near your apartment and spend the rest of the evening trying to pack up all of your purchases! If you have time before your flight, head over to this fun little neighborhood and treat yourself to breakfast at Monocle Cafe. Then, make your way into Daunt Books because there is definitely a little room left in your carry on right? Option 1: Hop on the tube at Baker Street and take the Bakerloo line to Paddington Station. From there take the Heathrow Express train. Option 2: Hop on the Tube at Baker Street and take the Jubilee line south, then change to the Piccadilly line two stops later at Green Park and ride that all the way to the airport. I hope you enjoyed the past few weeks exploring England with me, and that this final guide will help you plan a full trip of your own! If you have any questions about following my footsteps or even just using one of the suggestions, please let me know in the comment section below. And of course please leave a note afterwards about your experience!